With dozens of different login usernames and passwords out there on the Interwebs, who needs to add yet another one to the list? To help solve this, Flickr is rolling out a new feature to make it easier than ever for new users to join our community. We’re introducing OpenID on Flickr, a service that makes it faster and easier to sign-up for new accounts by letting you use one identity across multiple websites. So starting today, you’ll be able to use a Google account to sign-up for a new Flickr account. We’re pleased to announce Google as our first partner, but stay tuned as we continue to add even more in the future! 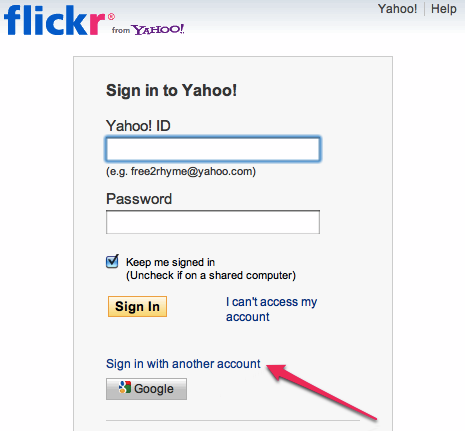 For existing Flickr account holders, you’ll still need to sign in with your Yahoo! ID, but we’re rolling out a few new features to make signing in easier for you as well. You can now sign-in to your account without having to leave the page you were on, making it easier to post comments, favorite a photo or add someone as a new contact. For more details, check out our FAQs or visit the help forum to share feedback or let us know about bugs.